Material: 95% polyester, 5% elastane. Sleeves: 100% polyester. Short sleeve top in a lovely fabric from CHIARA FORTHI. 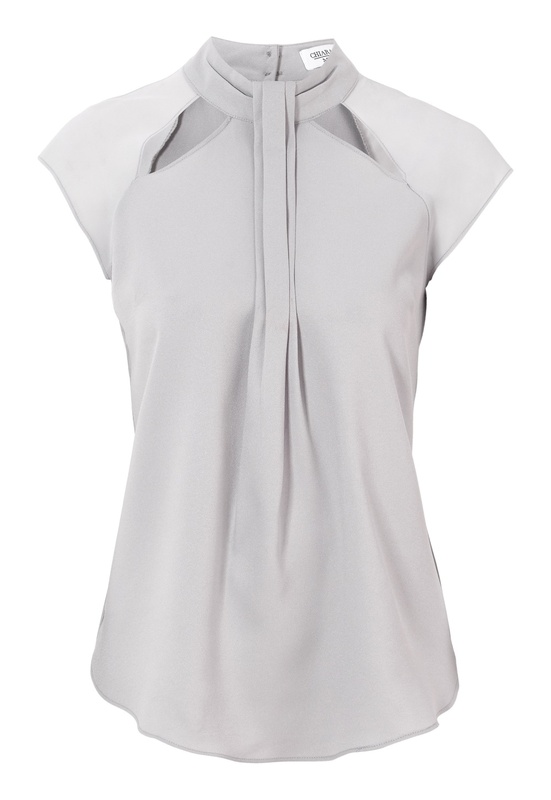 The top has a slightly higher neckline with a fancy pleat at the front. Keyhole opening with button at back. Length of garment in size S: 67 cm.